For my “favourite” books of 2018, I can’t just pick one thing from each genre – that seems a bit too artificial for how haphazard my reading was last year. Instead, I’ve just highlighted the books that I’m still thinking about the most, even months after reading them. Call them my most memorable books of 2018 (most of which didn’t come out in 2018). I can’t not mention the third installment of N.K. 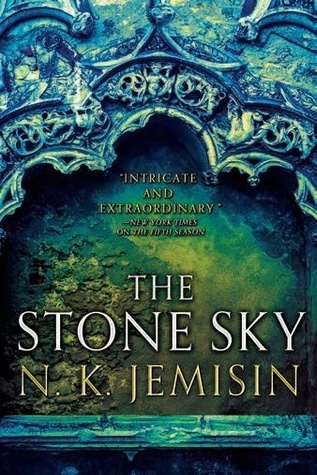 Jemisin’s Broken Earth trilogy, The Stone Sky. While I was the most blown away by the first installment, the rest of the trilogy didn’t fail to deliver. 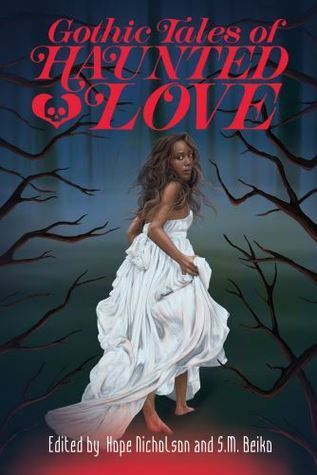 It’s tremendously inventive and intricately drawn far-future science fiction by a Black woman. She has won umpteen major awards for this trilogy, and she doesn’t really need a recommendation from me. But here it is anyway. 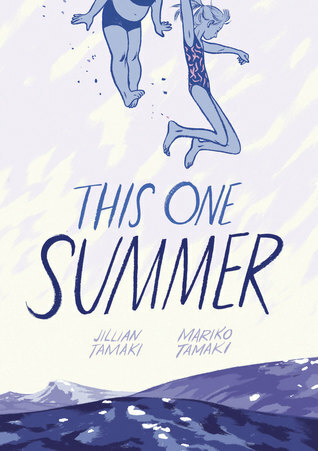 I’m still thinking about Mariko Tamaki and Jillian Tamaki’s YA graphic novel This One Summer. It’s a haunting coming-of-age tale that takes place at the lake, “this one summer.” Girls and women of different ages each change in different ways, and the pubescent protagonist learns—with resistance, even dread—what she’s up against becoming a woman. Definitely YA, not kids’. 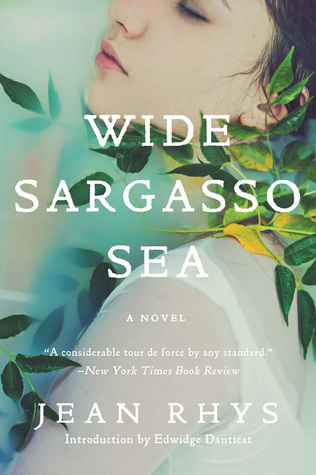 One of the literary classics I picked up this year was Jean Rhys’s Wide Sargasso Sea. I have to say that what stays with me is more an impression than a specific element of craft or thematic takeaway, though I know it has many; for me, this book was an immersive experience that I can still kind of sink into in my mind. 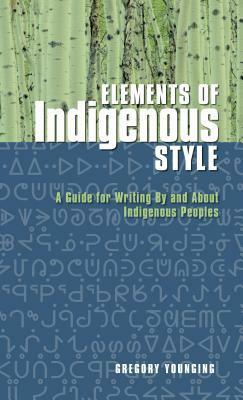 The most important book I read this year was Gregory Younging’s Elements of Indigenous Style. If you are a writer or communicator in this country, you should read this book. It gives practical and clearly explained, organized, and argued advice for best practices when writing about Indigenous subjects or working with Indigenous writers. 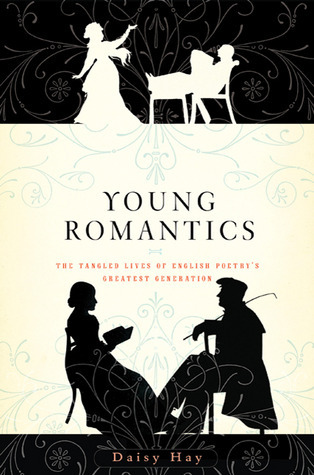 I adored Daisy Hay’s book The Young Romantics, and it’s probably what gave me the biography bug. I’ve read that it was her PhD thesis in another form, which surprised me because the prose is so lively and the story so riveting (not something one can usually say about a dissertation). In it, she argues that the archetype of the lone, individualistic, tortured writer—an image invented by the Romantics—was never really true, certainly not by the second generation (the “young” Romantics), and probably not even for the first. She interweaves the stories of Leigh Hunt, Byron, the Shelleys, Keats, and a number of peripheral figures in order to show how they all interacted with and even depended on each other for inspiration, debate, intellectual stimulation, camaraderie, and support. (She also illustrates handily how the women of the circle paid the higher price for their nonconforming ways.) I am officially obsessed with the Romantics again, and if anyone can recommend which is the best biography of Byron, I’m gonna put it high on my list for 2019. 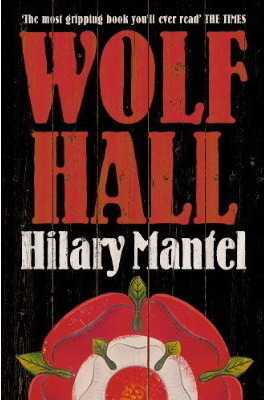 Last, probably my favourite book of 2018 was another one that needs no recommendation from me: Hilary Mantel’s Wolf Hall. It won the Booker, it was made into a miniseries, blah blah blah. These are historical characters I never would have predicted I’d have gotten so attached to. Thomas Cromwell, of course. And Henry VIII! I really missed him when I finished this book. This was one of the behemoths (about 600 pages) that I read this year, but it was worth every page. I don’t know if I’m going to be able to commit to reading the next two installments in 2019… maybe just part 2, Bring Up the Bodies. And, oh, maybe I’ll get the miniseries from the library, too. Onward to 2019, my friends, and happy reading! My method of choosing books to read in 2018 looked systematic (I like systems) but had a whole lot of serendipity embedded in it. When I heard about, or remembered, or researched, or otherwise discovered, a book I wanted to read, I looked it up in the public library, and if it was there, I added it to a list in my account. My lists are divided up by subject and genre, to keep them organized. Sometimes, when a book wasn’t in the library but I really, really wanted to read it, I’d put in a purchase request, or else order it from interlibrary loan. I kept my holds list full, with the holds mostly suspended, and when I took a book out and a hold spot opened up, I’d go to my lists and, rotating through the different subjects and genres, I’d place a new hold on something that took my fancy at the time. I tried to have one longer book and several shorter books checked out at all times. Social media. Even though I am not on it that often any more, the majority of my friends and followees are writerly types who talk about books rather a lot. A lot, but not all, of the books I learn about this way are Canadian books, because that is the world I friend in. Goodreads—the platform I have not blocked. Not that many of my friends are on it, but the feed is 100% about books. Personal recommendations from friends, colleagues and students IRL. Library research on subjects of interest to me, often for writing-related reasons. LeVar Burton Reads. He reads contemporary short stories and has really good taste. Also, he’s LeVar Burton. The New Yorker Fiction Podcast and The Writer’s Voice (respectively, older and newer stories from The New Yorker). Literature and History. This is a podcast about the history of English literature and everything that influenced it. It’s been going on for years and he hasn’t even got to the English language yet. It’s all about totally canonical stuff, but I haven’t read all of that (and it’s been a while since I read what I read). He also recommends scholarly works. So, how did my semi-managed reading turn out by the numbers in 2018? Here are some percentages; keep in mind they are approximate, since I haven’t thoroughly researched the bio of every author and might not be privy to how they identify. Also, some of my genre attributions are probably debatable. About 68% of the creators (usually authors, sometimes illustrators, editors, or translators) were women or non-binary people. About 25% were BIPOC (Black, Indigenous, and People of Colour). About 8% of the books were translated from another language into English. About 35% of the books I read were novels (my first love). About 33% were SFF (science fiction and fantasy, though I’ve defined that broadly). About 21% were children’s and YA (young adult). About 20% were in graphic forms (comics). About 14% were some form of narrative non-fiction. About 14% were based on myth or traditional stories (either presented straight-ahead as non-fiction or retold as fiction). About 11% were biography, autobiography or memoir. For research purposes, I was actually trying to read significant amounts of mythology, YA, and SFF work this year. Those trends will probably continue, though I kind of got the bug for reading biography, what little of it I did. I probably should have counted the living versus dead authors – but I can tell you the number of dead authors would be small. I also read a tiny bit of mystery, short stories, and informative non-fiction. Next time: highlights of the year. What is this? An actual blog post? Yes, it is, only two years since the last one. The thesis novel I last updated you about is back up to 92,000 words and officially in draft 5 (but who’s counting); yes, I did get my degree, but that doesn’t mean the book is finished. I just compiled that draft 5 MS today, December 31, so I felt it was a good milestone to mention. But on to other, better books than my unfinished behemoth. Dismayed at my declining reading over the years and feeling distinctly like the internet has been making me lose my ability to read in depth, in 2018 I decided it was time to take on a reading challenge and publicly track my reading, which I did over on Goodreads – DAMN ITS EASE OF USE, AMAZON IS EVIL. Alas, I have not established a new tracking system for 2019. Though I was most aware of Jonathan Ball’s #95books challenge, I decided to go for the more modest 52 books, a commonly declared challenge on Goodreads. I’m aware that these reading challenge numbers are all relative: to some people (let’s say, most of the students I teach), 52 books in a year might seem like a lofty goal, but to many of my writer and academic friends, not to mention friends who are voracious genre readers, it probably seems laughably small. Read on the bus. I’m lucky that I don’t get motion sick. That’s at least 40 minutes per day reading right there, so long as I don’t get seduced by the news apps. Read before bed. Working or going on-line before bed does not help me sleep. Reading is better. Stay off social media. My reading time this year shot up when I installed a social blocker which I’ve set so I’m only allowed on social media during limited periods of the day. As a result, no one likes my Facebook posts any more (I’m guessing they are not even seeing them), but who cares, really? I found pretty fast that once I blocked myself, I no longer wanted to go online, and got into the habit of reading instead. Less Netflix. It’s so easy to start watching something and binge through a bunch of episodes for hours on the couch. I’ve tried to limit Netflix to two hours per week, and—just like with the social media—I found that after a while I no longer really wanted to go there, to the point that I had to schedule in my two hours so I didn’t completely ignore that form of storytelling. Use the library. Not only does the public library offer good tools for organizing lists of books you want to read, the due dates create a deadline and a sense of urgency that I just never have when reading books I own (and believe me, I own a lot). But yes, I actually buy the books by people I know. “Book” does not only refer to 600-page epics or weighty literary masterpieces (though those are also good). Only three of the books I read this year were upwards of 500 pages. Au contraire, lots of the books I read were poetry books, children’s books, and comics. I counted the books I read to my daughter for bedtime (five YA novels over the course of the year). I counted the ones she insisted on reading to me (three YA graphic novels which I had to look at over her shoulder). Books are books. Parts 2 and 3 of this post will break my reading habits down a bit, and then highlight a few of my favourites from 2018. Happy New Year! It must be time for me to post on my blog. Instead, I played video games and read books. I mostly only play one game. Final Fantasy VII. I played it when it came out in 1997, and I am too old to learn anything new, and I don’t really play games enough to justify buying anything else anyway. Plus, though I do have the original game and console somewhere in my basement, there’s an iPad port, and I always have the ol’ iPad with me. There was absolutely no good reason for me to spend my precious leisure time playing Final Fantasy. This was just absolutely classic procrastination, with a strong hint of dopamine. I mean, sometimes it seems you are just SO CLOSE to earning a W-Summon in the Battle Arena, but then it takes another five hours for some reason. But to compensate for this phenomenal waste of time while pretending to be a little cartoon dude wielding a sword bigger than he is, I also spent some time reading a Very Serious Book which has itself been influential on storytelling in, among other things, games: Joseph Campbell’s The Hero with a Thousand Faces. Oh, yes. I have been trying to read this book on and off for years, as I find it a bit of a slog. I’ve made better progress this time around, but I’m still only maybe a third of the way through, and man, I sort of want to punch him, except that he is dead and also may have been a nice man. You can’t study screenwriting (or novel writing or game writing or comic writing or whatever) without hearing about The Hero’s Journey, ever since Christopher Vogler’s influential book on the subject in 1998. Vogler, who was a story editor at Disney, based his book on Campbell’s theory, applying it to story structure for screenwriting. Campbell basically says that stories from around the world follow the same patterns, and then elaborates on those patterns. Which I’m willing to go with him on, because saying that you should recognize pattern in storytelling is kind of another way of saying that you should read a lot and learn from what’s successful in what you read (or consume in other media, too, but no matter what medium you want to write for, if you want to write, you need to read). Vogler acknowledges the problem of the inherent maleness of the “hero” in the narrative journey, and the model he presents is flexible enough that the gendered nature of the journey didn’t seem like a big stumbling block to me when I read him. Not ideal, but it was something you could take and mess about with. The best part of the Campbell book for me, so far, is all the examples of stories from around the world, which he cites at length– the comparative mythology part. But he pulls the whole comparison through the filter of psychoanalysis (the book is from 1949), relying heavily on the traditional family as the be-all and end-all of human existence and leaving no room for anything other than a straight, male, cisgender hero. Much more can, and has been, said about this, not by me. In Vogler’s nod to the topic alone, he cites a number of feminist takes on the hero’s journey. But my frustration with Campbell so far has just been one of those moments for me, you know, when you go WHAT THE HELL PEOPLE, IF THIS IS WHAT YOU HAVE BEEN CONSCIOUSLY BASING HOLLYWOOD MOVIES ON THEN NO WONDER!!!!!!!!!!!!! DIDN’T YOU NOTICE?????? DON’T YOU CARE???? Which naturally brings me to Star Wars. 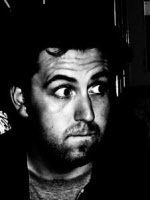 George Lucas famously used Campbell in crafting the original series. A good article in the New Statesman the other day cited Campbell in a less than flattering way while discussing the seeming rise in female heroes lately (Rey, Furiosa, Jessica Jones). Let’s hope this rise is not a blip, because we’ve been here before. Thelma and Louise (1991) was supposed to usher in a whole new era. Did it? And that’s just at the edge of my adult memory – I’m suspecting there were moments like it before. I’m a Buffy gal from way back. Reading Campbell has given me a new tingle of appreciation for a certain last-season episode in which Buffy gets transported back in time, to a mythic time, to meet the men who created the first Slayer, so they can basically give her a power boost for the final battle against evil. Thing is, it turns out that what they did to create the Slayer, and what they want to do to her again, is kidnap her, chain her to a rock, and force a demon on her to imbue her with demonic essence. Buffy says, no way, old dudes, I’ll find some other way to fight evil, and kicks their asses. At the end of the series, of course, Buffy figures out how to fight evil by sharing her superpowers with others—she rejects the whole lone hero thing. My point? This mythic structure stuff can totally be messed with in a satisfying way. Buffy’s heroism still follows the pattern – descent to the underworld, fighting both inner and outer demons, encountering shape shifters, guidance from a wise mentor, death and resurrection, using her powers to change the “regular” world, check, check, check, check! Even her sharing of her superpowers fits the “return with the elixir” stage of the journey – the elixir being, in this case, heroism itself, which is the real twist on the structure. I also wanted to talk about Outlander and Game of Thrones. See, now I have something for next time. All part of the plan. Back full circle: why I don’t much like blogging, and don’t do it often. Clearly, one reason is that I haven’t mastered the form. I’ve now been noodling about this topic for three hours (nearly four hours after a couple quick read-overs) and am at about 1400 words. Also: I really put off making known my circuitous thoughts, because I feel like there’s no point in saying anything unless I’ve done a cartload of academic research to back up what I am talking about. Or at least, you know, finish the darn book before I shoot my mouth off about it. I’ve just committed all sorts of sins, not only in potentially misquoting Star Wars, but in, say, making sweeping generalizations about psychoanalysis without ever having studied it. I’m basically reluctant to commit my informal noodlings to publication. I think I just have to get over this, because, heck, at least I’ve written something, and maybe someday with time and motivation aplenty, and after having finally achieved that W-Summon in the Battle Arena, I’ll take up Buffy scholarship and feminist comparative mythology and write an awesome paper. But not today, and not on a blog. Myself and I realized that we hadn’t posted anything for a while, so we sat down at our disorganized desk today to ask and answer a few questions. The theme: personal taste, naming the books, movies, TV, and music we’ve actually been into lately, because the actual titles can tell no lies. Q: What happened to the other blog post you were working on about that play you went to see last term? A: It’s gotten out of hand. I feel like I need to do scholarly research for it. Maybe some day I’ll release it. Q: So this was the only lame thing you could come up with? Q: What is the purpose of this Q and A? Q: Um… okay. I’m trying to give readers an idea of my… your… our taste in movies, music, TV and books by listing stuff I/you/we having been consuming. Because people like reading about that stuff. A: Awesome. You know, you could adopt the double “I” pronoun like the angels in Angels in America. Q: Um, or not. Have you been reading that lately? A: How astute. Yes, I just did. Q: What are you listening to right now? A: You mean, right this minute? Hang on, let me check… it’s something from La Boheme. Q: Tell me about when you went to see that opera last year. A: One of the singers fell off a piece of set furniture and twisted his ankle or something. They improvised by having one of the other dudes sing two parts. Luckily, it was close to the end. Q: What books are on your desk right now? A: Writing Short Films by Linda J. Cowgill, Scott McCloud’s Understanding Comics, Marjane Satrapi’s Persepolis. Q: What’s the last thing you bought on iTunes? A: The HBO miniseries of Angels in America. Q: What have you been watching in Netflix? 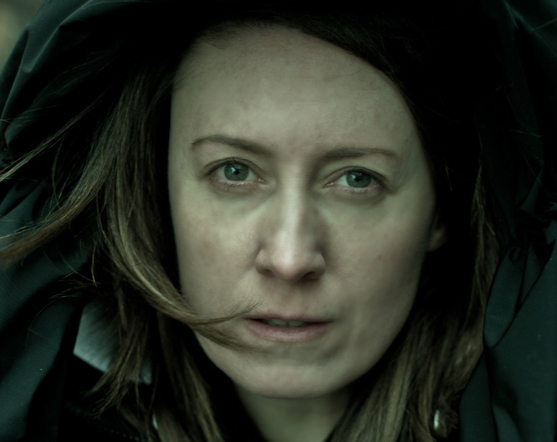 A: The Killing, the U.S. one, just started Season 2. Q: Last feature film you saw? A: The F Word. Canadian! No, wait. I watched Frozen (again!) with my daughter since then. Q: Last time you went to a movie in the theatre? A: Um… I think it was one of those Hobbit movies. The one last year, the second one. I think. Q: Last album you listened to in its entirety? A: The new one by The Decemberists. Q: Last novel you actually finished reading? A: I finished book two of the Karl Ove Knausgaard thing. But that’s only sort of a novel. Before that, I read David Mitchell’s The Bone Clocks. I thought it was delightfully weird. Q: New releases you are looking forward to? A: My friend Peter Darbyshire’s new book The Dead Hamlets, under his Peter Roman pen-name. I’m always a season behind on Game of Thrones because I don’t have HBO and prefer to get it legally. I’m number 24 at the library for pre-ordered Season 4! Waiting impatiently for whenever there are going to be new seasons of Orphan Black and the French zombie show Les Revenants (I think there was one of the latter, but I haven’t got my hands on it yet). Q: What are the songs in the “Top 25 Most Played” list in your iTunes? It’s the End of the World as We Know It (and I Feel Fine) – R.E.M. What’s the Frequency Kenneth? – R.E.M. Q: What can we learn from this list? A: I’m from the ’90s, and I’m a sucker for Puccini. A: Two of those songs were written by Prince. Who out there can name which two without the help of Google? So, yeah, I’m on Goodreads, have been for a few years. I’m not entirely sure why—I’m not a big participator there. If I’m going to write a book review, I’d rather do it here on my blog, or in some forum with an actual editor. But I like to see what my tribe is reading, and I figured I better at least have some idea how this thing works before my next book happens (which I sent off to the publisher, BTW; now it’s a waiting game). Though I’m engaged with peeking into the shelves of others, I know very well that book recommendations almost never work out. I’m not sure why this is, or if it’s because I’m just weird. It may be impossible to understand another reader’s taste in such a way that, among the millions of books in the world, another one can be recommended and subsequently appreciated. Neither people nor algorithms can do it. People are too focused on their own enthusiasms and their desire to make other people like what they like, to the omission of considering the actual taste of others; algorithms, say on Amazon, don’t do too badly on subject area in my experience (here are another five bestselling books on the topic you appear to be reading up on), but fail miserably at literature. Book jacket blurbs (testimonials, to those of you not in the book biz) don’t tell me anything about a book’s quality, but they do tell me about what kind of book the publisher is trying to make me think it is – how they are positioning it. I recently tried to read Joseph Boyden’s newest work, The Orenda, and noted that the blurbers—and there were a lot of them—were all male. And all of the blurbs were Very Serious. The book-recommendation social network Goodreads (recently purchased by Amazon) allows you to categorize your books as to-read, reading, and read. These three high-level categories are woefully insufficient. I have many, too many, books on my currently reading shelf. This is because I’m a notorious book abandoner. There just isn’t enough time in the week to keep plodding through something if I’m neither motivated nor compelled to do so. Some of these books that I abandon I know that I’ve really, really abandoned – I will never finish them. There needs to be a reading category for that. On the other hand, some books I haven’t picked up in years, and yet I consider myself to be “still reading” them: I remember the story, I think about them kind of nostalgically, and remember enjoying them – but maybe they just weren’t the thing for that particular time of my life. Maybe I’ll still go back there. There should be a category for that, too. The next day at work, I got a mysterious email message from a new college librarian I’d never met before, saying there was a gift he wanted to give me that he’d had for a few years, and now that we were colleagues, he thought he should give it to me, sorry if this sounds creepy, etc. The thorough LinkedIn background check I performed revealed only an affinity for books, and for rare books in particular, so I quickly assented to a meeting, despite feeling at the mercy of a fortune cookie. 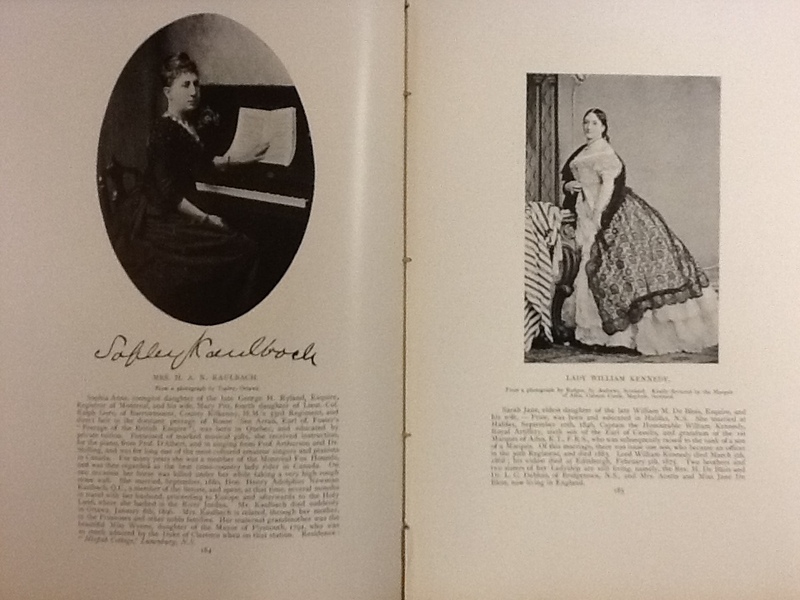 It turned out I was gifted with the best surprise I’ve had in a long time: a copy of Henry J. Morgan’s 1903 illustrated biographical dictionary Types of Canadian Women. Volume 1. Nearly six years ago, my book Types of Canadian Women—Volume 2—was published. It’s a mock biographical dictionary in poems and poetic prose, inspired, you guessed it, by Morgan’s Volume 1. I talked about the source material in the publishers’ bumpf, and in some interviews at the time. Morgan’s book says a Volume 2 was in the works, but, having never found trace of one, I thought I’d just have to write it. 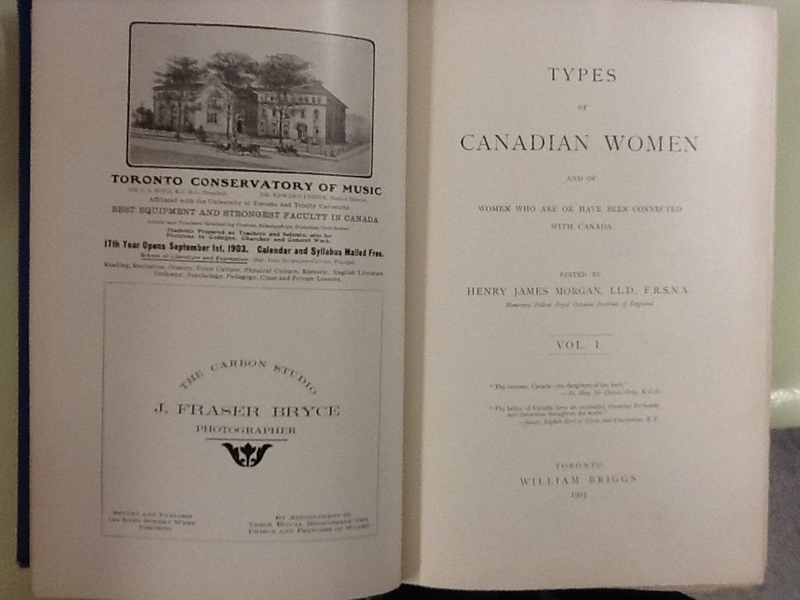 Types of Canadian Women title page, with lovely 1903 print ads opposite. I’d been in Winnipeg for about a year when Types came out. But our mysterious new librarian, Matthew Handscombe, was still in Toronto, where I’d written all but the last few drafts of the book–partly on Toronto Island at the fantastic Gibraltar Point centre, partly in a second-floor apartment in a Victorian brick oven in Parkdale, with no air-conditioning, one summer on a Canada Council grant. Matthew was operating a tiny bookshop specializing in fine press books. My publisher, Gaspereau Press, does some pretty fine printing, so Matthew had no doubt seen my book in the catalogue, probably read one of the interviews, and may have been familiar with my earlier Gaspereau release, Spine, which contained, among other things, poems about fine printing. Somehow, my reference to Morgan’s Volume 1 stuck in his brain. I used to consult Volume 1 in the Robarts Library at the University of Toronto, as part of my work as a researcher on Canadian history books and book proposals. The Robarts had a circulating copy, and while I was aware of a few copies on offer from book dealers, even after I’d fallen for the book and decided to write Volume 2, acquiring my own copy—which dealers listed for around $300—had never become a priority. Still with me? Let’s get back to Matthew Handscombe, who, somewhere in the depths of his brain, catalogued this detail about my interest in this book. A spread from Morgan's Types of Canadian Women, Volume 1: the book responsible for inflicting 50 of my poems on the world. Matthew’s father, Richard Handscombe, taught linguistics and children’s literature at York University (scroll down the linked page for bio), and was an avid book collector. Though significant parts of his collection were donated to the Thomas Fisher Rare Book Library at the U of T—particularly a collection of over a thousand items by and about John Cowper Powys and his brothers—when Richard died, Matthew was left with a massive number of books to find homes for. Thirteen thousand, I think, was the number he told me (he’ll correct me if I’m wrong. Right?). 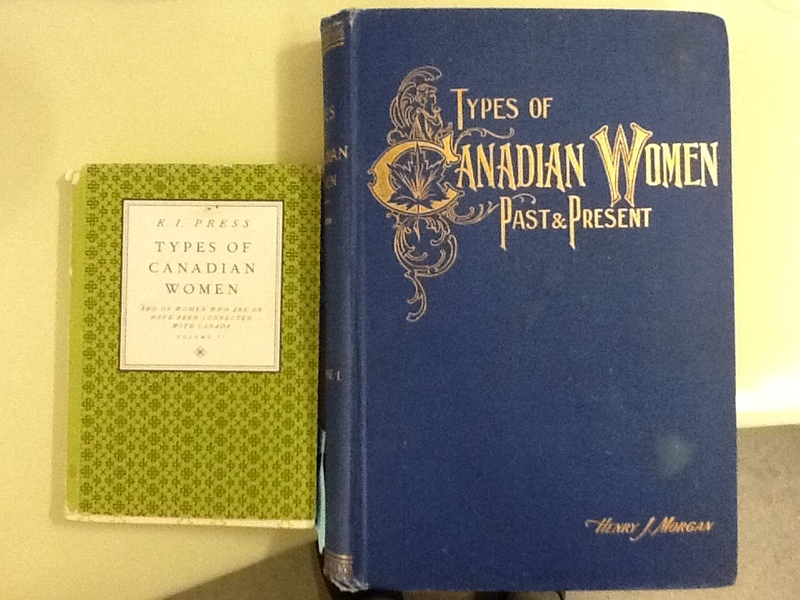 Types of Canadian Women was not, alas, lurking in the collection. But slowly, as Matthew and his family donated or sold books, he started to acquire things from the dealers, essentially doing part of the transaction in trade, with the intention of gifting specific books to individuals. It was at Greenfield Books here in Winnipeg that Matthew saw Types of Canadian Women and acquired it, somehow remembering that I, a writer he’d never met, had wanted it. It never occurred to him that I was also living in Winnipeg, until he noticed that I was a colleague at Red River College, where he’s only recently arrived. Matthew styled the gift as a present from his father. I never met Richard Handscombe, and Matthew had never met me when he picked up this book and put it aside. I ran back to my office to get Matthew a copy of my little Volume 2, as an inadequate thank-you. This post has gone on too long, and there is much I still want to research and write about: how books end up in rare book collections (my books are all in the Fisher, I can only assume by virtue of being Canadian small press books); more about Matthew’s father and his collection; how all this talk of book collecting reminds me of my father-in-law, Martin Levin, and his house filled with books; how Morgan’s Volume 1 will read to me now, years after I left my project behind on the poetry circuit; and how none of this would happen in a world where books are infinitely reproducible. February 9 • Julie Wilson • Evening reading 7 p.m. • with Jason Booth • Aqua Books • 274 Garry St.
Jason Booth is a graduate of the Creative Communications program. His poetry has been published in The Collective Consciousness, the quarterly journal of The Manitoba Writer’s Collective and the Winnipeg Free Press. He resides in Winnipeg with his wife and percolator. This installment of Books I Have Loved is actually more like Books I Currently Love, and am reading, and reading, and reading, and reading, again, and again, and again, and again. To my toddler, that is, and if you have or ever have had a toddler, you know what I mean about reading it again. I rarely read for “fun” these days—it’s either for work (Crafting Short Screenplays That Connect, anyone?) or to the baby. So when books land in my lap that both I and the girl love to read, those books become my own treasured reading material, too. Close to the end of 2010, we added two books to our repertoire that I am so grateful for I feel compelled to review here. 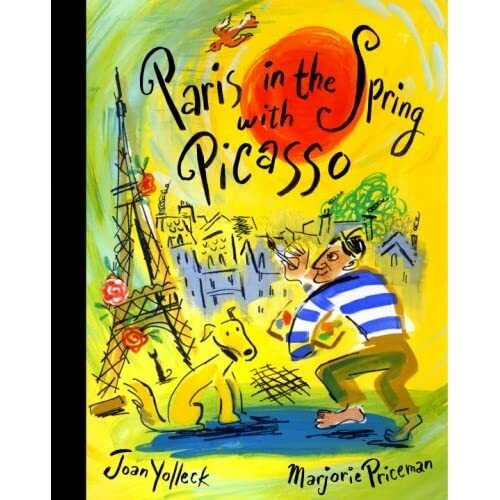 They are both big, yellow picture books published in 2010: 13 Words by Lemony Snicket (illustrated by Maira Kalman), and Paris in the Spring with Picasso by Joan Yolleck (illustrated by Marjorie Priceman). I should mention right away that, though my baby enjoys and requests them, these books are complex enough to last years. In the bookstores, they are categorized for ages 4-8. Yes, I have linked you to Amazon, above. The only thing I can quibble about in 13 Words is its title; there must be a better one. The story is structured, loosely, around said words, but I’m not convinced that structure was title-worthy. Not that it matters; it’s by Lemony Snicket, so they could just as easily have called it “Don’t Buy This Book” without any discernible effect. The list of words is meant to seem random. The book carries a mildly surreal aesthetic, especially in the scenes where the dog and goat drive through landscapes in their flashy green convertible, landscapes of impossible multicoloured hills populated with all manner of illustrations, sometimes unrelated to the text: a ballerina en pointe, a rectangular hot-pink cow (I think), an angel playing a tambourine, a mime, a porcupine enduring an isolated rain shower. Maira Kalman, a New Yorker illustrator, has truly added another dimension to this story—something which cannot be said for all picture books. At the centre of the centre spread lies an illustration of a dour, pudding-faced, bespectacled man wearing bunny ears, staring directly at the reader, which I’m going to guess is a representation of our author, Lemony Snicket (Daniel Handler). And yet, behind the whimsy there is a real story here, beyond the full comprehension of my toddler, but immediately apparent to me. The bird (female) and the dog (male) are the main characters, and the bird is despondent—it’s never explained why. But when the dog tells her to get busy painting ladders while he goes for a drive with his friend, the spiffily dressed goat, you get a hint of what’s going on here—there is something amiss with this bird/goat relationship. When the dog goes to the haberdashery to buy the bird a hat to cheer her up, he doesn’t just by the one hat—he buys himself one while he’s at it. (In fact, the text mentions the dog’s hat first: “The dog has finally chosen one hat for himself and one for the bird.”) It’s no wonder the bird is still despondent at the end of the book, despite the panache-ful hat, the copious cake, and the mezzo-soprano’s beautiful song. She lives with an oblivious and self-centred dog. Around our house we’ve been putting on a falsetto and singing the mezzo-soprano’s summarizing song at the end of the book, and until now we’ve been using (more or less) the tune of “The Owl and the Pussycat.” I was going to say here that HarperCollins needs to package this book with a CD, but duh, what was I thinking? It’s on-line, of course, and you can get a $1 download of the mezzo-soprano’s song through lemonysnicket.com (or directly here). The composer is Nico Muhly, and the mezzo-soprano Eve Gigliotti. One more reason to love this book: the design. I care deeply about book design, and this one’s got it going on. I expect that since a Lemony Snicket book is guaranteed to sell a bazillion copies, they were able to pull out all the stops in this department. No space is wasted—the end papers have been used for illustrations (the last spread continues right on to the inside back cover)—and even that always-bothersome copyright page has been used wisely, with the copyright text formed into a sort of visual poem in the shape of a bird. 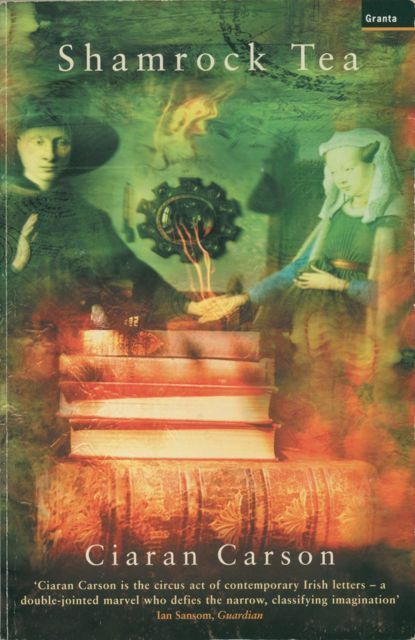 “Book design by Alison Donalty,” it says; good on you, Alison Donalty (she also worked on Lemony Snicket’s popular Unfortunate Events books). 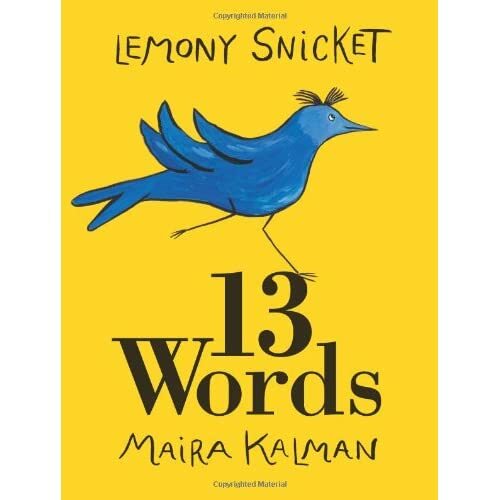 The 13 Words book trailer is here. I also have a problem with the title of this book. Picasso is not the protagonist. He’s one of an ensemble cast, and if anyone in this book were the main character, it’s actually Gertrude Stein. Titles are marketing tools, of course, not literary ones, so the reason behind the title is pretty clear: Picasso is the household name among the book’s characters. They certainly weren’t going to call it Paris in the Spring with Guillaume Apollinaire. This is the book for introducing your children to modernism, if you’re the kind of person who does that kind of thing (and I am!). A stray cat wanders around Paris peeking into the lives of Apollinaire, Max Jacob, Picasso, Gertrude Stein, and their respective partners (my baby’s vocabulary now also includes “Alice B. Toklas”). And we see them engaged in creating art: writing, painting. A picture book about the process of artistic creation? Yes! The story, and the illustrations (by Marjorie Priceman), contain a lot of movement as the cat-narrator jumps quickly from apartment to apartment, as Picasso frantically moves his brush, as Apollinaire is interrupted mid-poem; at one point you even need to turn the book sideways to look at a spread designed vertically, with Montmartre and Sacré Coeur at the top. In the end, the artists all take a break and go to Gertrude Stein’s house at 27 rue de Fleurus for her salon. It’s not much of a story, exactly—if I were to dissect the plot, it would be to say that their goal is to go to the party, but the complication is that they each need to make some art first. Lots of books out there introduce art to young children. Baby Einstein does, but I’m not a fan of it, since I’ve found embarrassing factual errors in Baby Einstein materials. The popular Olivia series also comes to mind, a series I don’t mind, but am not really impressed with. Olivia introduces art in that the protagonist looks at a Jackson Pollock painting and takes a trip to Venice and wants to be a ballerina. Paris in the Spring with Picasso introduces art too—among the works included are Stein’s Sacred Emily and Picasso’s Two Nudes—but the emphasis is on the process of making art, not exposure to the works themselves. As poet-parents, a book about art as process, and as vocation, is very appealing. This book is also a great companion to the Madeline series (which my daughter adores) for the complementary illustration of Paris. As an author, Joan Yolleck is the opposite of Lemony Snicket–it’s her first book, and I’m super-impressed with it. She lives in Toronto and reviews children’s books for the Globe and Mail. If you got this far, you must really care about children’s books. Good on you. Now go read something else. Not another blog. I posted last year about my reluctance to see the Tim Burton Alice movie. I’m a die-hard original Alice fan, so I was afraid it would disappoint. Still haven’t seen it. 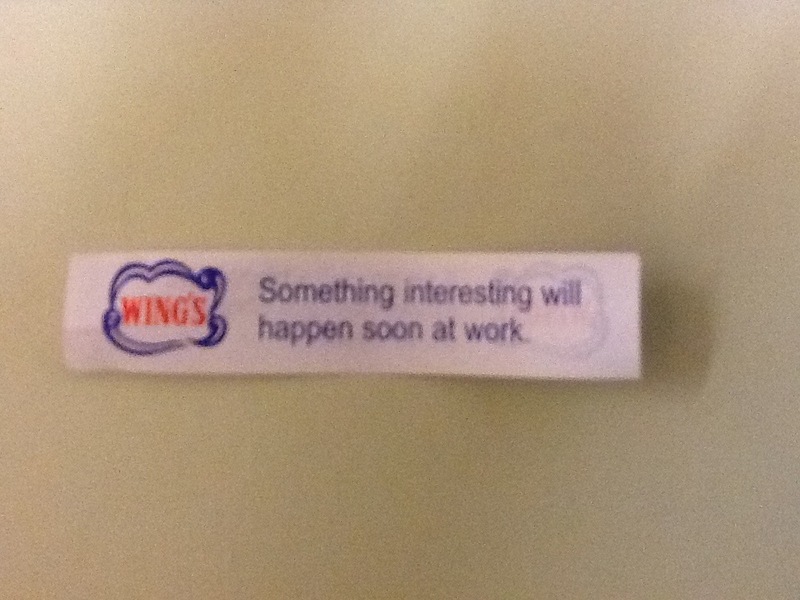 Maybe during the holidays? In December? 2021? Hard to pin down, but I’ll take a stab (to combine two very sharp clichés), and I’m sure there are as many and varied reasons to love Alice out there as there are memorable characters and lines in the book. Getting ahead of myself. At one point as a child I actually had a crush on the Mad Hatter (also on Hamlet, Stephen Dedalus, and some other literary characters, too). 2. Memorable lines—and I mean that literally. I wrote last time around about how Jabberwocky was the first poem I memorized. I went on, around age 10, to memorize all the poems and songs in the two books. I can no longer remember all of them, but I try to keep in practice with “Jabberwocky” and with “The Walrus and the Carpenter.” Today I’m afraid most people don’t even know where the phrase “of cabbages and kings” comes from. Er, actually, I’m thinking maybe people don’t even use that phrase much any more, but that’s your loss, people. An aside about me is that I was a kid who read obsessively rather than omnivorously, which is partly why I memorized things. I’ve always had a thing about reading a book that I like over and over again, rather than moving on to another one. This is probably why the shocking gaps in my reading knowledge, which we just won’t speak of. 3. It’s both silly and terrifying. It’s the imagination run off in all directions. And imagination is my greatest friend. Those are my top three reasons. I’ve never seen the entirety of the Disney Alice movie, so I can’t blame that on sending me to the book (though that movie did leave us with the “unbirthday”—something decidedly not in the book, but a very useful cultural invention). Which reminds me that I must run, because it’s my unbirthday, wouldn’t you know it, and it’s getting late. I don't post much. Seriously, I aim for approximately quarterly. I'm "kipress" most places if you're looking for me elsewhere. Also see kipress.ca for links to some of my other feeds and other content by me around the web.